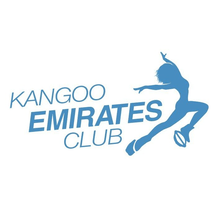 Kangoo Emirates Club has been delivering safe and fun cardio exercises in Dubai since 2016 through internationally certified and recognized instructor Elena and her team. In this workout, the Kangoo Jumps rebound shoes used have patented IPS (Impact Protection System), helping you exercise while protecting your knees, spine, and joints up to 80%. Cardio was never as fun before, with the opportunity to burn up to 800 calories per class. Amongst other health benefits, Kangoo Jumps helps you to improve your physical posture, and coordination, increase your strength and endurance, boost your immunity by balancing your metabolism and fighting mental stress. Give it a try and discover the joy of jumping! Kangoo Jumps, Have Fun, Getting Fit!